Member of Hamas's political bureau Ezzat Al-Resheq criticized the Palestinian Authority and its de facto interior ministry for its objection to giving Sheikh Yousuf Al-Qaradawi a Palestinian passport in honor of his role in supporting the Palestinian cause. Resheq said that such attitude by the PA was unjustified and a departure from the Palestinian traditions, and would contribute to deepening the inter-Palestinian division. For its part, the Palestinian ministry of interior affairs and national security in Gaza said that the PA interior ministry in Ramallah city is illegitimate and derives its existence from the Israeli occupation. The ministry stated on Friday that the Israeli-backed interior ministry in Ramallah is fake and did not receive any vote of confidence by the Palestinian legislative council in order for it to take such position. This came in response to the statement that was released by the de facto interior ministry in Ramallah describing the passport given to Sheikh Qaradawi as forged. In earlier occasions, Palestinian premier Ismail Haneyya has granted some international figures who visited Gaza passports as symbolic gifts reflecting the Palestinian people's gratitude for their role in supporting the Palestinian cause. Meanwhile, Sheikh Yousuf Al-Qaradawi, head of the international union for Muslim scholars, left the Gaza Strip on Friday after a three-day visit during which he met with several Palestinian leaders. 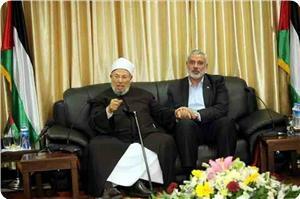 Sheikh Qaradawi had arrived in Gaza on Wednesday night, heading a delegation of 50 scholars from 15 countries. The Minister of Awqaf and Religious Affairs in Gaza Strip, Dr. Ismail Radwan, stated that the visit by the Muslim scholars delegation to Gaza Strip had a good impact on the besieged Palestinian people in the Strip. Dr. Yusuf al-Qaradawi, the head of the International Union of Muslim Scholars, who led the delegation, has left the Strip on Friday afternoon via the Rafah crossing after a three-day visit during which he held several popular and official meetings. Dr. Radwan, in a statement to Quds Press on Saturday, considered Qaradawi and nearly 60 Islamic scholars' visit to Gaza as a historic event that influenced positively the Palestinian people in the Strip. This visit reflects the support of the nation's scholars for the Palestinian people, Jerusalem, al-Aqsa mosque and Gaza Strip, he noted. Dr. Radwan stressed that the visit came to break the political siege on Gaza Strip and to declare support for the Palestinian resistance. The Muslim scholars' delegation declared support for the liberation of Jerusalem and the defense of al-Aqsa mosque, he pointed out. Qaradawi arrived in Gaza on Wednesday night, heading a delegation of 60 scholars from 15 countries, for a three-day visit in support of the Palestinian people in Gaza Strip. The Muslim scholars delegation to Gaza strip has called, during a conference in support of prisoners and al-Aqsa issues on Thursday, to unite Arab and Islamic efforts for the liberation of al-Aqsa mosque and prisoners. Palestinian Prime Minister Ismail Haniyeh stated that all Gaza is honored to receive Islamic scholars on its land, stressing that this visit translates the support of the nation's scholars and people for the Palestinian cause. For his part, former Sudanese president Abdulrahman Suwareddahab confirmed the Palestinian cause is the central cause for the Sudanese people. 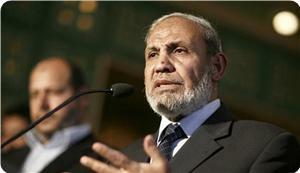 For his part, member of the Muslim Brotherhood's Guidance Bureau Mahmoud al-Far stated that victory has become so close. He pointed out that the nation's scholars and people are all ready to sacrifice their lives for the liberation of Palestine in light of this huge Islamic Awakening that is taking place in the world. Dr. Yusuf al-Qaradawi, head of the International Union of Muslim Scholars, who lead the delegation, called on everyone to work for his part for the liberation of the Palestinian territories and to achieve Islamic unity and end the division that only serves the enemy. During the conference, the delegation which comprises 60 Islamic scholars signed the right of return document that stipulates non-compromise of the right of return or Palestinian land. Tens of thousands of Palestinians headed by the visiting delegation have vowed not to sacrifice or compromise any inch of the Palestinian territories and to maintain the right of return for the 1948 Palestinian refugees. The conference was attended by PM Ismail Haniyeh and his government ministers, in addition to the Qatari Ambassador Mohammed Al Emadi and senior officials along with a huge crowd. Dr. Al-Qaradawi praised the steadfastness of the Gazan people before all pressures and challenges, saying that Gaza managed to challenge and confront the Israeli schemes. He stressed that Jews do not have a right to Palestine. They have no historical connection with Palestine, he said, pointing out to the British colonization that was involved in handing Palestine to the Jews. Al-Qaradawi stressed the need to achieve national reconciliation and to end the continuing division. 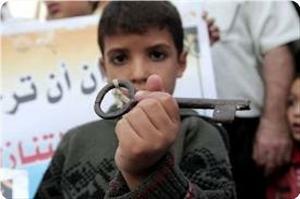 He called for the liberation of the Palestinian prisoners from Israeli jails. The Palestinian cause is the prominent and the central cause for the nation and the liberation of al-Aqsa is the responsibility of the entire nation, he referred. He stressed that the Arab revolutions were launched for the sake of Palestine and al-Aqsa mosque the third holiest site in Islam. The Palestinian Authority in the West Bank is seeking a full membership with the International Criminal Police Organization (ICPO), internationally known as Interpol, and will be submitting an official application to the organization this coming August. Brigadier Yousef ‘Ezraeel, head of the National Anti-Drug and Crime Force in Palestine, told the Maan News Agency that the Palestinian application will be submitted in August so that a vote on the application can be held during the Interpol annual meeting this November. He stated that the Interpol is one of the international organizations that the P.A plans to join, and added that the application must be submitted three months prior to the annual Interpol meeting. He further stated that the Executive Committee of the Interpol must first adopt the application before it is submitted for a vote, adding that the Palestinian leadership and the Ministry of Interior are holding talks with different countries in this regard, especially with Qatar and Algeria, as the two Arab countries are members of the Interpol’s Executive Committee. Brigadier ‘Ezraeel said that a successful vote requires two thirds plus one, and added that Palestine contacted different member countries and managed to garner the needed support for the vote. He stated that Palestine wants to join the Interpol in order to fight crime, punish criminals and fight corruption in Palestine, and different parts of the world as well. On March 26, Palestinian head of the anti-corruption committee, Rafiq Al-Natsha, stated that the Palestinian Authority has a limited Interpol membership, an issue that does not allow the P.A. To issue international arrest warrants against Palestinian officials convicted of corruption and living abroad. In November of 2012, the Palestinian Authority managed to obtain a non-member observer state status at the United Nations General Assembly. The vote granted the P.A. The ability to file for membership in different international organizations. 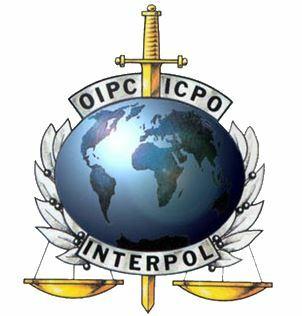 The Interpol was established in 1923 and was knows as the International Criminal Police Commission (ICPC), and adopted the name (Interpol) in 1956. There are 190 countries that are members of the Interpol, and its headquarters are located in Lyon in France. The Interpol is considered the second largest international organization after the United Nations. Member of the Political Bureau of the Hamas movement, Izzat al-Resheq, denied tension between Hamas and Qatar over the movement's rejection of the Arab modified initiative as it was claimed in some media sources. On his Facebook page, Resheq denied tensions in the relationship between Hamas movement and Qatar over the movement's complete rejection of the land swap principle which has been recently presented by the Arab League delegation to Washington. Hamas movement has expressed in a statement its total rejection of the idea of land swaps between the Palestinian and the Israeli sides, stressing its adherence to the Palestinian constants and its refusal to the persistent policy of waivers. The Arab League delegation, which recently met with US Secretary of State John Kerry in Washington, merely ratified the Arab Peace Initiative to include land swaps between Israeli and Palestinian parties. Sheikh Yousuf al-Qaradawi is indisputably one of the most venerable and knowledgeable sages of Islam in our times. He is also one of the most respectable and honorable Alim (religious scholar) under the sun. The 86-year-old philosopher and theologian has spent the bulk of his life defending liberty from the clutches of colonialism, imperialism and Zionism. He never flinched from saying or doing the right thing even when what he did or said was unpopular with certain quarters as is the case with his current visit to Gaza. In the 1960s, he had to flee Gamal Abdul Nasser's repression as the iconic Egyptian leader sought to eradicate all opposition to his dictatorship. That era witnessed the execution of many members of the Muslim Brotherhood movement, including the group's main ideologue Sayyed Qutb. In my recent visit to Doha, I wished I could shake hands with the independent-minded scholar who would really tell the truth, even though doing so infuriated and alienated leaders and governments. Unfortunately, due to circumstances beyond my well, I didn't have the honor to meet with his eminence. 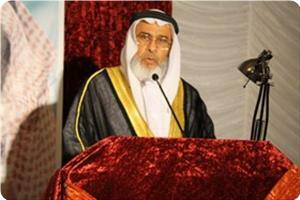 There is no doubt that the venerable Sheikh's visit to the Gaza Strip is a great honor for Gaza and for Palestine. At the very least, we have the President of the International Union of Muslim Religious Scholars visiting a partially-liberated part of Palestine, without having to bear the humiliation of handing his passport to Israeli occupation soldiers as is the case at the Allenby Bridge border crossing in the West Bank. This is no small difference for any person with an iota of honesty and also for those who value the meaning of dignity.. The last time al-Qaradawi visited the Gaza Strip was in 1958, one year after this writer's birth. Then, he urged the people of Palestine to cling to their homeland and to struggle by all means in order to restore their legitimate rights and return to their homes and villages from which they had been uprooted at the hands of Zionist gangs coming mostly from Eastern Europe. As Israeli aggression and hegemony grew at the expense of the Palestinian and other Arab peoples, the venerable Sheikh never gave up and never surrendered to the Zionist fait accompli. Instead, he continued to urge Palestinians and other Muslims to walk in the path of freedom and liberty, irrespective of the sacrifices. In so doing, the Sheikh invited the wrath of Israel, her guardian ally, the United States as well as several western countries whose governments languish under Zionist influence. At one point, influential American Congressmen and senators pressured the Qatari government to stop funding a successful website called Islam-on-line which the Sheikh oversaw and supervised. The barking dogs of the Zionist hasbara accused the site, for which this writer was working, of inciting against Jews and promoting anti-Zionism. The Sheikh retorted by arguing that "We Muslims are not against Zionists because Zionists are Jews, we are rather against them because they are murderers, oppressors and usurpers of our land and rights." Sheikh al-Qaradawi did issue a Fetwa or religious edict permitting Palestinian fighters to carry out "martyrdom operations" inside Israel as a weapon of last resort to deter Israel from annihilating the Palestinians. The Sheikh was not really excited about seeing young Palestinians dismember themselves into bits and pieces in order to dismember Israelis into bits and pieces. None the less, he argued that Israel's fanatical genocidalism against the Palestinian people demanded some unorthodox tactics and solutions that would deter the Nazi-like Zionist regime from doing to the Palestinians what Nazi Germany had done to Jews and others. The sheikh argued: "The Zionist Jews have forced the Palestinians to choose either of two choices, to die like meek sheep at the Jewish slaughterhouse, or die as martyrs in the streets of Israel. Israeli oppression of the Palestinian people, not Islam, pushes young Palestinians to carry out so-called suicide-bombings." 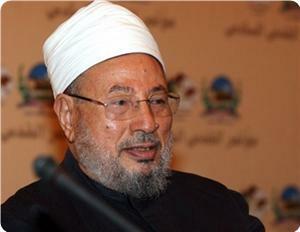 Sheikh Yousef al-Qaradawi is par excellance the Sheikh of the Arab Spring. He supported rather enthusiastically the Arab uprisings that toppled the tyrants of Tunisia, Egypt and Libya. He argued repeatedly and convincingly that dictatorship and tyrannical authoritarianism had nothing to do with Islam and that the Arab-Muslim masses had an absolute Islamic duty to unseat and overthrow despotic rulers such as Tunis's Ben Ali. Libya's Qaddafi , Egypt's Mubarak and Syria's Bashar Assad. The Sheikh's support for the Syrian revolution drew sharp and hostile reactions from certain sectors in the Arab and Muslim worlds, including Leftists, secular Arab nationalists and some Shiite circles that are at Iran's beck and call. The Sheikh was often abused and called names due to his calls for the removal of the nefarious Syrian dictator. Some pro-Iranian media outlets called the prominent scholar a "Mufti for NATO." The Muslim brotherhood, the Left's historical foe in the Arab world, was called "the Ikhwan of America." The sheikh didn't even care to respond, opting to keep going, no matter how loud was the dog barking. The truth of the matter is that there is no iota of truth to the frustrated hallucination against the Muslim brothers, which come from bankrupt Marxist circles, utterly unable to wake up from their long dormancy following the downfall of their god, the Soviet Union in 1991. As to the Shiites, their concerns have really nothing with Israel and American imperialism. These slogans are just diversionary red herrings to dupe the naïve masses. The real concern of the Shiite Central Nervous System in Tehran is that they dread the appearance of a triumphant authentic Sunni Muslim movement that would constitute a real ideological Islamic alternative to Shiite esotericism and millenarianism. This is probably the main reason behind Iran's and Hizbullah's dogged support and backing of the nominally-Shiite but evil regime in Damascus. Sheikh Yousuf al-Qaradawi is and will always be hard and uncompromising with regard to Israel. But he is only stating the legalistic Islamic stance on the matter. In other words, he is not inventing anything. The Palestinian Authority (PA) ranks third after Israel and Iran in its vilification of the towering Muslim scholar. The PA minister of Waqf and Islamic Affairs reportedly accused al-Qaradawi of seeking to deepen the rift between Hamas and Fatah. Habbash is quite notorious for badmouthing the elderly scholar, even to the point of accusing him of ignorance!! and lack of knowledge. Well, I'm not going to further comment on this issue, lest the comparison lead us to inadvertently give certain people a dignity they don't deserve. The Arab poet said: Don't you see that a sword is treated unfairly when it is said this sword is sharper than a stick?" A group of pro-Syrian protesters have staged a rally in Gaza Strip to protest against the visit of controversial Egyptian cleric Yusuf al-Qaradawi to the coastal enclave. 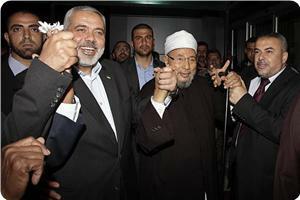 Al-Qaradawi arrived for his first visit to Gaza on Wednesday. The cleric has specifically become the target of attacks of protesters for voicing support for the foreign-backed insurgents in Syria. On Thursday, the protesters chanted slogans in support of Syrian President Bashar al-Assad as well as the leader of the Lebanese resistance movement Seyyed Hassan Nasrallah. They also voiced anger against the militants that have caused the unrest in Syria for over three years now. Dr. Yusuf al-Qaradawi, head of the International Union of Muslim Scholars, expressed his certainty of the victory of Gaza, stressing on the nation and its scholars' support for the Palestinian cause. He hailed the people of Gaza for their sacrifices and steadfastness in confronting the occupation, stressing that Palestine is and will remain an Arab-Islamic land. Qaradawi also stressed that no one has the right to sell or give up any part of Palestine. For his part, Siwar Dhahab, the former Sudanese President, expressed his happiness to visit Gaza, stressing that despite all the conspiracies the Sudan will always support Gaza and Palestine. Prime Minister Ismail Haniyeh welcomed Qaradawi and the scholars accompanying him, stressing on the Palestinian people's adherence to the rights and constants. 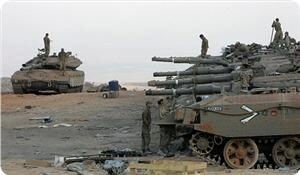 Gaza Premier hailed the Jordanian Parliament for voting by a large majority to expel the Israeli ambassador from Amman. 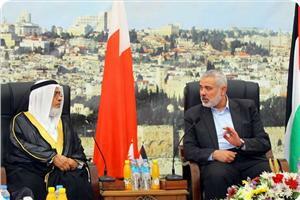 Meanwhile, at the end of the meeting, Haniya granted Qardawi the Palestinian nationality and a diplomatic passport. The Islamic movement in the Palestinian 1948-occupied territories denied statements attributed to Sheikh Raed Salah, head of the movement, against Sheikh Qaradawi's visit to the Gaza strip. The Islamic movement condemned such fabricated news and called on media to make sure of their sources. The movement confirmed that Sheikh Salah welcomes Sheikh Qaradawi's visit and his supportive positions towards the Palestinian cause, adding that he will issue a statement in this regard. Some PA media sponsored by US claimed that Sheikh Salah does not welcome Qaradawi because of his fatwa that forbids visiting al-Aqsa mosque under occupation control. Sheikh Yusuf al-Qaradawi has reached on Wednesday the Gaza Strip accompanied by a delegation of 50 scholars from several Arab and Islamic countries and was greeted by Prime Minister Ismail Haniya. Sheikh Yousuf Al-Qaradawi, head of the international union for Muslim scholars, was enthusiastically received by Palestinian officials and massive crowds of citizens upon his arrival on Wednesday evening in the Gaza Strip. The Palestinian premier Ismail Haneyya, deputy speaker of the Palestinian parliament Ahmed Baher and a number of officials and dignitaries participated in the reception. Following the arrival of Sheikh Qaradawi and his accompanying delegation, premier Haneyya held a news conference at Rafah border area and gave a welcome speech praising Sheikh Qaradawi and his stature in the hearts of the Palestinians. For his part, Sheikh Yousuf Al-Qardawi stated that his visit to Gaza is intended to renew his oath of allegiance to Palestine and its people. "We now start our visit once again to Gaza which we could not visit for long years and meet with the people we love to renew our vows together to liberate Palestine," Sheikh Qaradawi said. "We are with you and we will celebrate the victory together if I stay alive, but if it is God's will that I do not live [to witness liberation], you and the future generations would celebrate this victory which is inevitable, God willing," he added. A few hours before his visit, the Hamas Movement welcomed the visit of Sheikh Yousuf Al-Qaradawi and his fellow religious figures to Gaza and described it as an important moment in the Palestinian history. 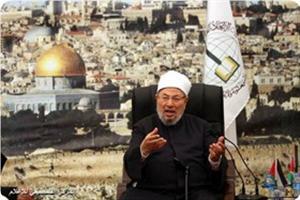 Its spokesman Sami Abu Zhuri stated that "Gaza would give Sheikh Qaradawi a majestic reception befitting conquerors." In this regard, Palestinian political analyst and writer Hosam Al-Dagni stated that Sheikh Qaradawi is an influential religious icon in the middle east and his visit would be of great importance for the Palestinian people. Dagni told the Palestinian information center (PIC) the honorable positions of Sheikh Qaradawi in support of the Palestinian people and their democratic choice give this visit special importance. Palestinian premier Ismail Haneyya said that the Palestinian people would never give up an inch of the Palestinian land or waive one of their national rights, including the right of return and the liberation of the prisoners. Haneyya made his remarks during his meeting on Wednesday with a Bahraini parliamentary delegation led by speaker Khalifa Al-Dahrani in Gaza city. Haneyya also stressed that the Palestinian people insist on liberating Palestine from the occupation and establishing their state with Jerusalem as its capital. The premier expressed his happiness for the visit of the Bahraini lawmakers and described it as historical in every sense of the word. He said that such solidarity visits always prove that the Palestinian people are not alone in the face of the Israeli injustice and aggression, and reflect the unity of the Arab nation. "We are in the vanguard defending the land and the nation, and we hope we can live up to the nation's expectations. Despite the significant difference in the balance of power, we were able to achieve victories over the enemy," the premier stated. For his part, speaker Khalifa Al-Dahrani hailed the steadfastness and determination of the Palestinian people in Gaza, and expressed hope to see all the Palestinian national aspirations come true. He also promised that the Bahraini parliament would be a messenger for the Palestinian people and their national cause to the world's parliaments. Bahraini parliament speaker Sheikh Khalifa Al-Dahrani arrived in Gaza Strip at noon Wednesday leading a parliament delegation on the first such visit by a Gulf official team to the coastal enclave. Dahrani arrived in Gaza at the head of a 13-member delegation at the invitation of the Palestinian legislative council extended during a visit to Manama in April 2012. Dr. Ahmed Bahar, who led the reception team at Rafah border terminal, told a press conference that the visit broke the political siege on Gaza and was meant to display support for the Palestine cause. He pointed out that the visit coincided with the growing Israeli aggression on Jerusalem and holy shrines. For his part, Dahrani emphasized the Bahraini Kingdom’s unwavering support for the Palestinian people. He said that Manama would continue to establish projects and extend donations and would back the Palestinian issue at international platforms. The Bahraini delegates, who are to stay in Gaza until 11th May, would meet officials of the Gaza government and parliament and would visit a number of public and private institutions. Palestinian premier in Gaza Strip Ismail Haneyya called on Fatah leader Abu Ali Shahin at his hospital bed in Quds hospital in Gaza on Tuesday and wished him speedy recovery. He told reporter s after calling on Shahin that his visit was meant to affirm unity of the Palestinian people and that “our pains and hopes are one”. He said, “We all look forward to the day when we end division and achieve national unity”. Haneyya said that Hamas was keen on concluding national reconciliation and hoped speedy conclusion of unity and liberation and the establishment of the Palestinian state with Jerusalem as its capital, the return of refugees, and the release of all prisoners. The premier said that Shahin’s health condition was stable and that the hospital staff was taking good care of him. The vast majority of the Palestinian factions and leaders have rejected the idea of land swap between the Palestinian and the Israeli sides. The Palestinian factions considered the Arab League ministers' approval of the idea of land swap a new "Balfour Declaration" offered for free by the Arabs this time, and said that it came to give a legal cover to the settlement activity in the West Bank and the occupied Jerusalem. The head of the Political Bureau of Hamas Khaled Meshaal stressed on his movement's complete rejection of the land swap principle which has been recently put forward by the Arab League, and warned of its serious consequences on the Palestinian cause. 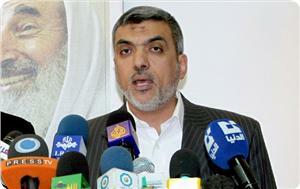 "We are against this move and against the persistent policy of waivers," Meshaal said. Aziz Dweik, Speaker of the Palestinian Legislative Council (PLC), condemned this Arab position and said that "accepting the principle of the exchange of lands contributes to legitimize the occupation of Palestine." 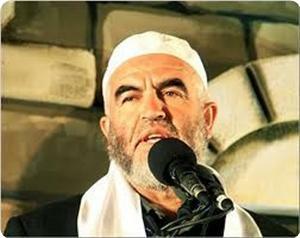 For his part; Khaled Batsh, member of the political leadership of the Islamic Jihad movement, refused the idea of exchange of lands between the Palestinians and the Israelis. Factions from the Palestinian Liberation Organization (PLO) have also expressed their rejection of the position of the Arab League delegation. The Popular Front for the Liberation of Palestine saw this step as a prelude to legitimize settlement in the occupied city of Jerusalem and the West Bank, which violates the international law and the Geneva Conventions, and stressed that no one has the right give up any part of Palestinian land. Qais Abu Leila, member of the Political Bureau of the Democratic Front for the Liberation of Palestine, stressed that the proposal of land swap is a new waiver for the benefit of the occupation and legitimize the settlement activity. Palestinian political analyst Samih Hamouda, Professor of Political Sciences at Birzeit University, said that the position of the Palestinian Authority itself regarding the land swap initiative put forward by the Arab states seems to be ambiguous. Nash'at al-Aqtash, professor of media at Birzeit University, told Quds Press agency that the proposal of the land swap is ​​an Israeli idea presented by the United States of America to the Arabs who accepted it. He pointed out that although all the Palestinian factions condemned this trend for its seriousness, the position of the Palestinian Authority was not clear. Al-Aqtash noted that Israel wants through this proposal to promote the idea of the resumption of negotiations, stressing that "Israel does not want to reach practical results." 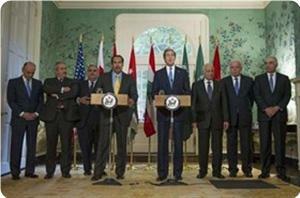 PLO's position regarding the Arab initiative for peace contrasts with the position of the Palestinian Authority. The positions were divided between for and against. Hamas will hold a conference on Wednesday marking the 65th anniversary of the Nakba under the slogan ‘Our Unity..Path to Our Return’, Hamas's Department of Refugee Affairs declared. Organizations concerning right of return at home and abroad will participate in the conference that will be chaired by PM Ismail Haniyeh. The conference aims to form a confederation comprising most of the organizations working for Palestinian refugees and the right of return, Isam Odwan, head of Department of Refugee Affairs explained. He added that the conference will stress the Palestinians' adherence to their right of return to their land and will activate Palestinian efforts concerning this issue, insisting that "the right of return is inalienable." The Department of Refugee Affairs called for raising the Right of Return issue in international forums and to prosecute the occupation and Britain in order to restore the Palestinian rights. Odwan stressed the need to unite efforts of about 60 organizations to shed more light on this issue on the international level. 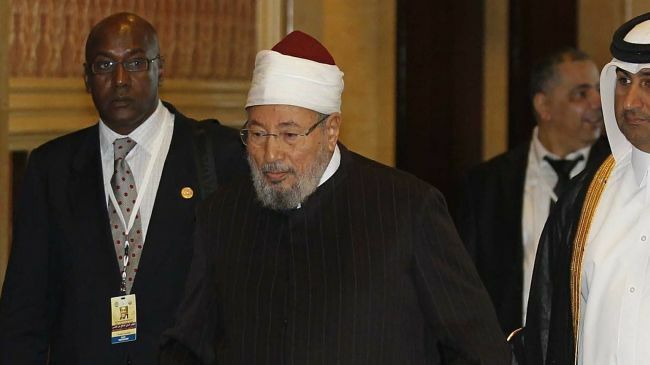 The Gaza government considered the visit of sheikh Dr. Yusuf al-Qaradawi, the chairman of International Union for Muslim Scholars (IUMS), as a historic visit and a landmark in the struggle against occupation. Dr. al-Qaradawi will be leading a delegation of about 50 scholars from different countries to Gaza strip in a three-day visit. Al-Qaradawi’s visit would be a new blow to the seven-year Israeli siege on Gaza, said Dr. Ismail Radwan, Minister of Awqaf and Religious Affairs in Gaza. The visit came, Radwan continued, in response to the Israeli continued attacks and to confirm that the Gaza strip is not alone. 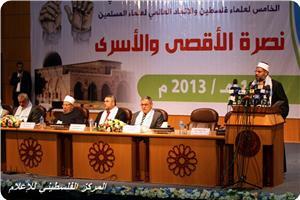 He added that the visit translates the Arab and Islamic dimension of the Palestinian cause. Head of International Union for Muslim Scholars was always in support of the Palestinian issue and Jerusalem particularly, he stresses. The visit coincides with the 65th anniversary of Nakba to stress the Palestinian right of return and to confirm that Palestine is an Arab Islamic waqf that will never be compromised. Meanwhile, chairman of the border crossings authority in the Gaza Strip, Ghazi Hamad, said: "the government completed the necessary arrangements for the reception of Sheikh al-Qaradawi and his accompanying delegation. He noted that official figures will greet the Sheikh tomorrow at Rafah border crossing, including Palestinian Prime Minister Ismail Haniyeh and First Deputy Chairman of the Legislative Council Ahmed Bahar. He explained that "the delegation includes senior Islamic scholars, including former Sudanese President Abdul Rahman al-Dhahab, in addition to nearly sixty of the world's leading Muslim scholars from Arab and Islamic countries." During his 3-day visit to the strip, al-Qaradawi will participate in a conference concerning al-Aqsa and prisoners' issues. He will also visit the Palestinian government's headquarters and the martyr Sheikh Ahmad Yassin's house. A mass festival will be held in al-Katiba square to welcome the delegation on the same day. He would conclude his visit to the strip by leading the weekly Friday prayer on May 10. Senior Hamas official Mahmoud Al-Zahhar warned against any Arab and Palestinian moves to waive the Palestinian rights and constants, reiterating his Movement's rejection of any solutions giving up an inch of the Palestinian land. He underlined that the Arab initiative's concessions have increased and their demands descended from the right of return and compensation, to a just solution to the issue of the refugees to an acceptable solution involving compensation. "Those compromisers are the people who have come up with the idea of the acceptable solution document and now they are talking about statehood without mentioning its borders; they even refrained from talking about the 1967 borders in order to appease the occupation," Zahhar criticized. The Hamas official highlighted that the Palestinian people suffer from systematic displacement and discrimination policies pursued against them even in Arab countries such as Syria and Lebanon, and the only solution for them is to return to their own homeland. "We will not swap our land for our land. Our 1948 occupied land is our land and we will not exchange any part of it for our 1967 occupied land. 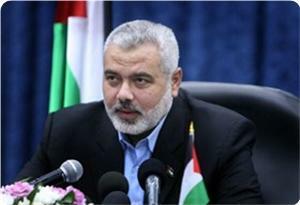 All the Palestinian land belongs to the Palestinians and we will never accept compromises," the Hamas official stated. "This land will only be inhabited by its own people, and we will not give those who do not represent Palestine the sign to persist in their concessions," he added.